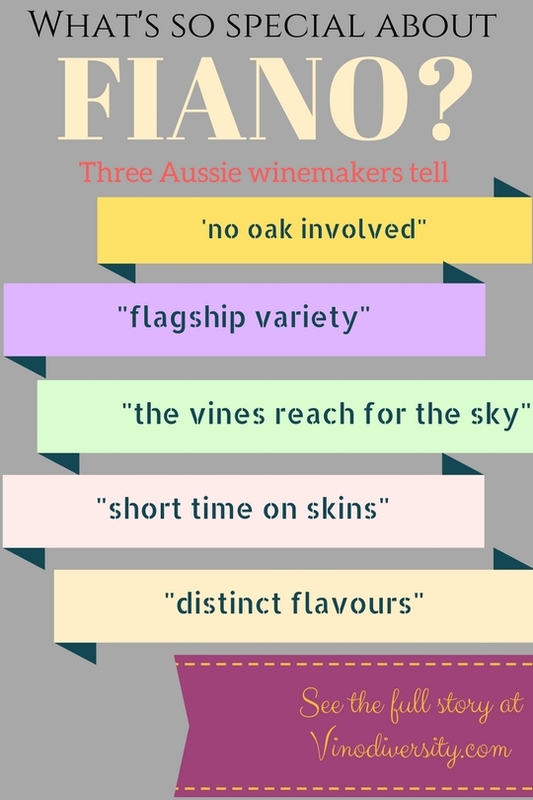 Is Fiano the most outstanding of all of the new white wine varieties in Australia? 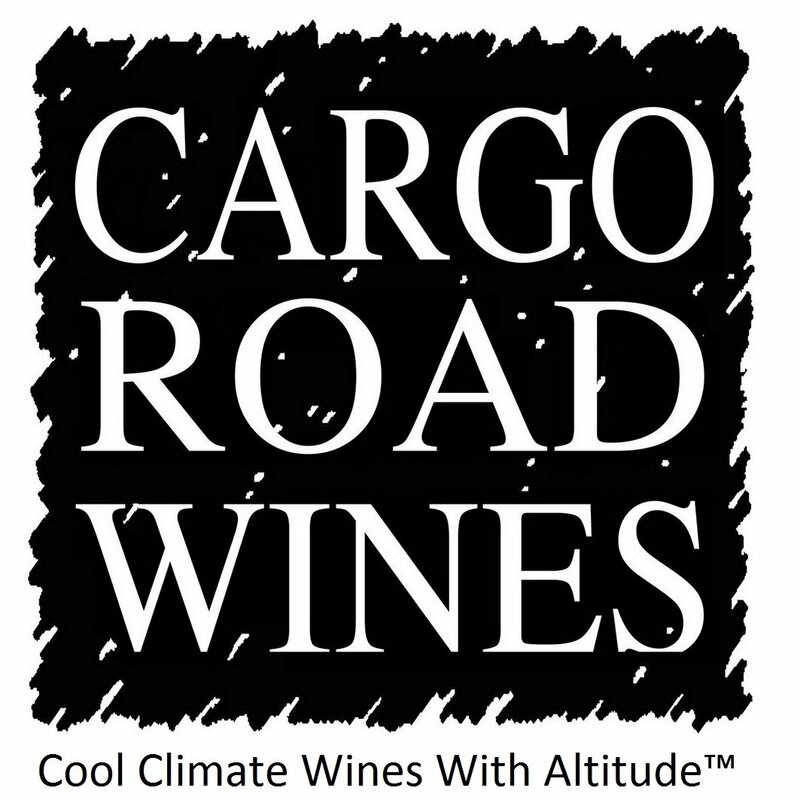 The other contenders are Arneis, Gruner Veltliner, Petit Manseng, Savagnin and Vermentino. As at June 2108 I reckon Fiano is ahead. But it is a tight race. 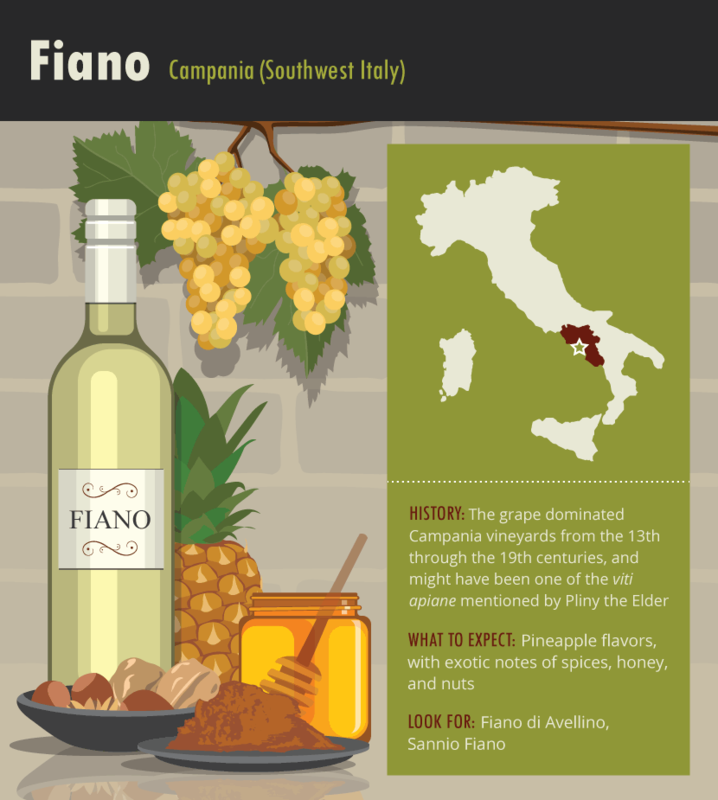 Fiano is a strongly flavoured white grape variety which is used to make the highly regarded Fiano di Avellino in Campania in Southern Italy. Avellino is a wine region in the hills inland from Naples. Fiano is also grown in other southern Italian regions such as Basilicata and the Salentine Peninsula in Puglia. 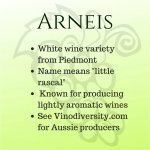 There is a small but steadily growing number of producers of Fiano in Australia. 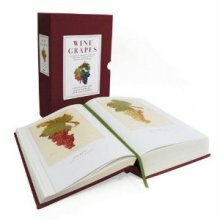 This is likely to continue over the next few years as more and more grape growers and wineries react to the problems of climate change by using Southern Italian grape varieties. 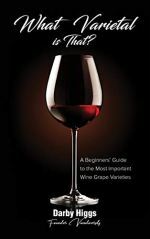 The time of vintage has been much earlier than usual in many recent years. 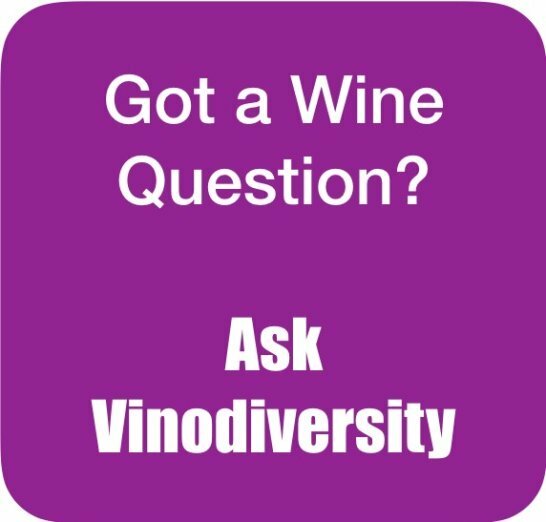 Later maturing varieites are more suited to warmer areas as the grapes are able to ripen with a better balance of sugar, acid and flavouring compounds in cooler times. 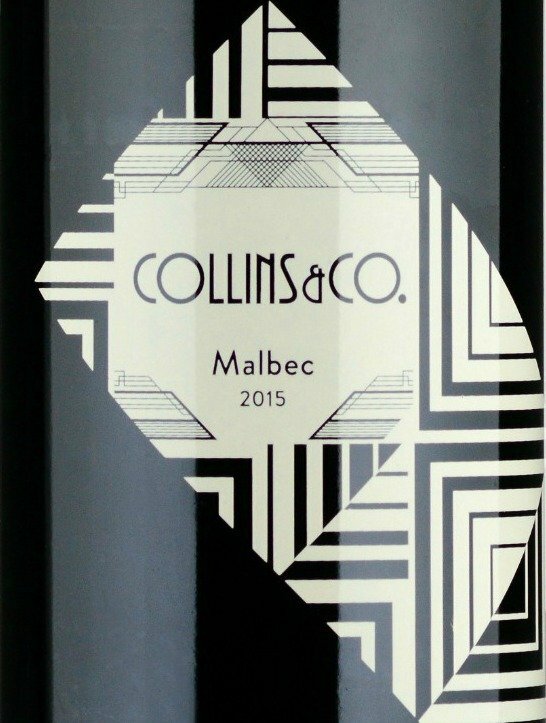 It seems that South Australian winemakers are especially keen on the variety, taking the lead from Coriole who pioneered the Fiano in Australia. 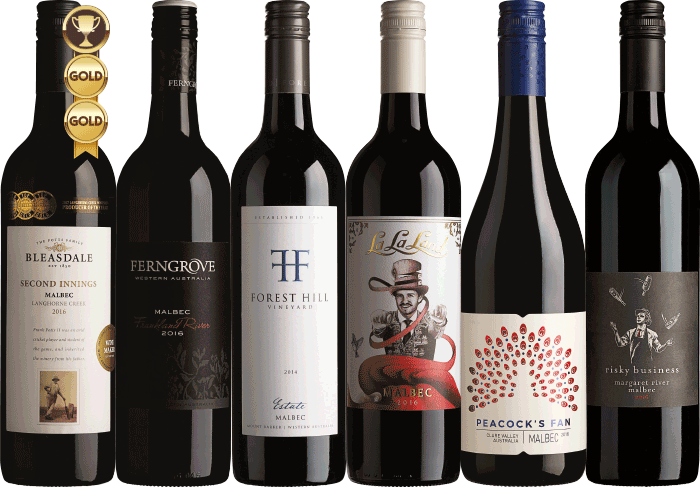 Fiano has had its own class at the Australian Alternative Varieties Wine Show (AAVWS) since 2009. 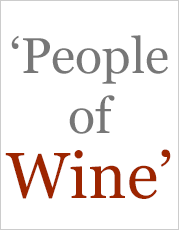 In the most recent show, just seven years later in 2016, there were 44 wines judged. At the 2017 AAVWS 46 Fiano Wines were judged. Two gold medals, six silvers and twenty-five bronze medals were awarded. 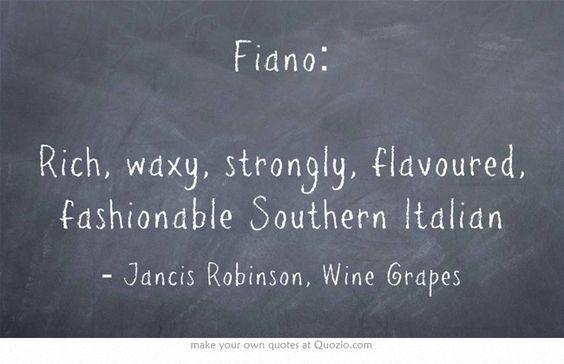 What does Fiano Taste like? 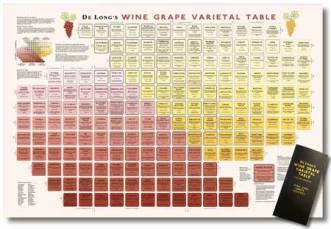 De Long's Wine Grape Varietal Table lists the variety as having the potential to produce light weight wines of moderate to high acidity. These crisp dry white wines can be paired with a range of foods. Try them with seafood, pasta dishes or other Italian style cuisine. 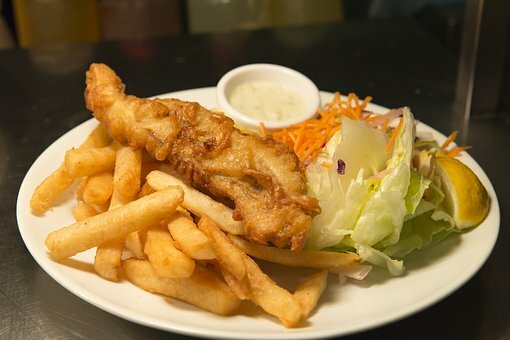 Try Fiano with pan fried King George whiting and chips. Brian St Pierre in this book suggests that Fiano is one white wine variety that goes well with dishes normally associated with red wines such as stuffed eggplant, or rolled veal birds.